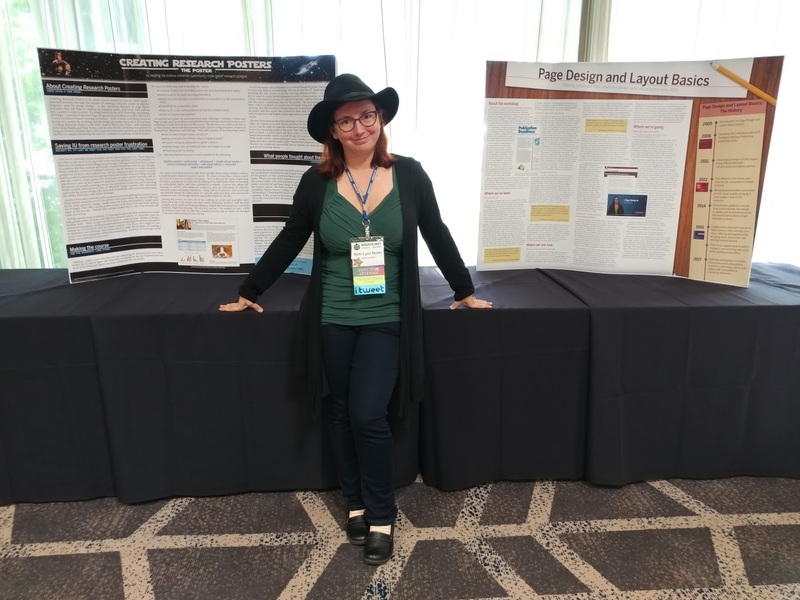 You might ask yourself, “Why should I present a poster at the SIGUCCS conference? What’s in it for me?” Well, there are plenty of good reasons you should present a poster! You’ll get valuable experience in presenting, experience writing a conference paper, and you’ll also get to network with other people who might be doing similar work. Don’t be intimidated by the word “presentation” – the poster session does involve presenting, but on a smaller scale. 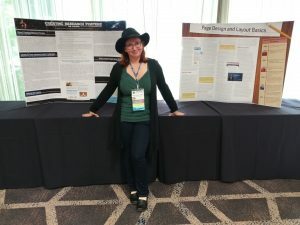 You’ll get to talk directly to people who are interested in your poster and what you’re presenting about, as opposed to a room full of attendees. You’ll also gain valuable experience in writing a short research paper for a conference – and your paper will be published in the ACM Digital Library. Sharing information about interesting projects you’ve been working on at your university is definitely a plus – and with the poster format, you can talk about topics that might not quite fit into a typical presentation format. And last, but certainly not least, poster presenting is fun! You can be creative with your posters to help make them stand out and be more eye-catching, and you’ll get to talk with all sorts of people who are curious about what you’re presenting on. The process for submitting a proposal and preparing to present is pretty straightforward. The first thing you’ll want to do is figure out what you want to present about. Once you’ve decided on a topic, you’ll write up your proposal abstract – aim for 150-250 words for your abstract. This can be tough, especially if you have a lot you want to talk about, but remember this: whatever you don’t cover in the abstract, you can talk about in your poster and its accompanying paper. When you’ve written up that proposal, the next step is submitting it! The deadline for proposals has been extended to February 16th, so you’ve got a little extra time to put together and submit your proposal. After your proposal’s been submitted and accepted (which is exciting on its own! ), then you get to write the paper that your poster will be based off of. While writing a paper might sound intimidating, keep in mind this one will be short (2-4 pages), and you get the additional bonus of your paper being published! The paper writing process will also help you organize your thoughts before making your poster, and help guide you in the poster creation process. After finishing your poster, the last step in the process is to wait eagerly for the poster session at this year’s conference. That might be hard, especially if you’re writing about something very exciting, but the wait will be completely worth it. Let’s fill the poster session at the SIGUCCS Annual Conference with exciting posters about all the interesting projects we’ve been working on this year – submit your proposal today!